I first heard about the Archive by Alexa collaboration between Alexa Chung and Marks and Spencer back in February and being a big Alexa fan I was so excited to see the collection. 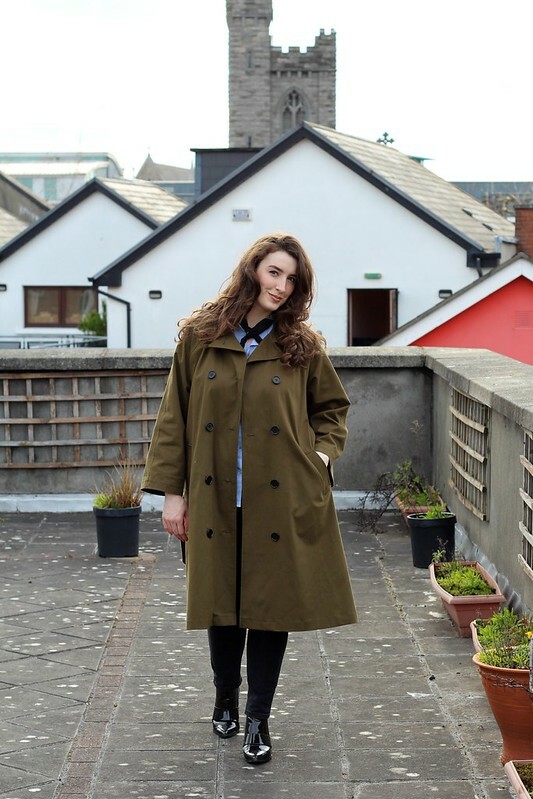 When I saw Alexa wearing the Frances Trench Coat at the launch party I immediately fell in love. 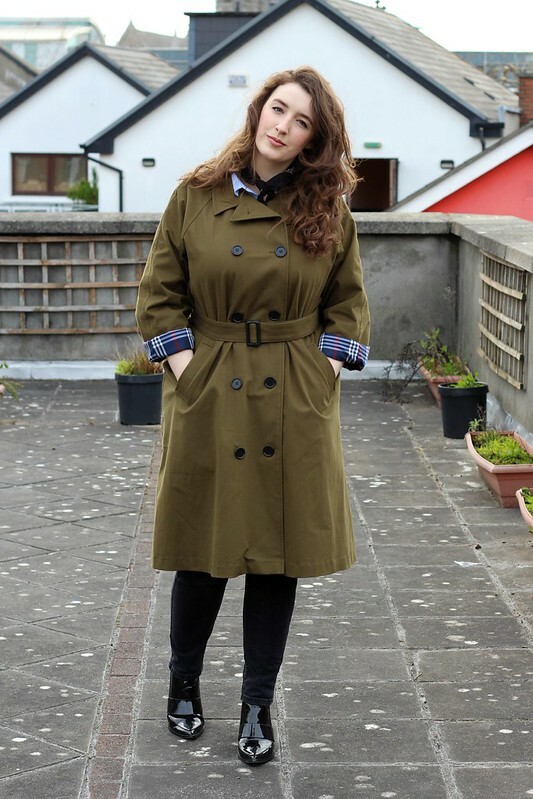 If you've been reading my blog for a while you'll know that I'm a big fan of the classic trench coat, I have a black one and a beige one and I wear them all the time. 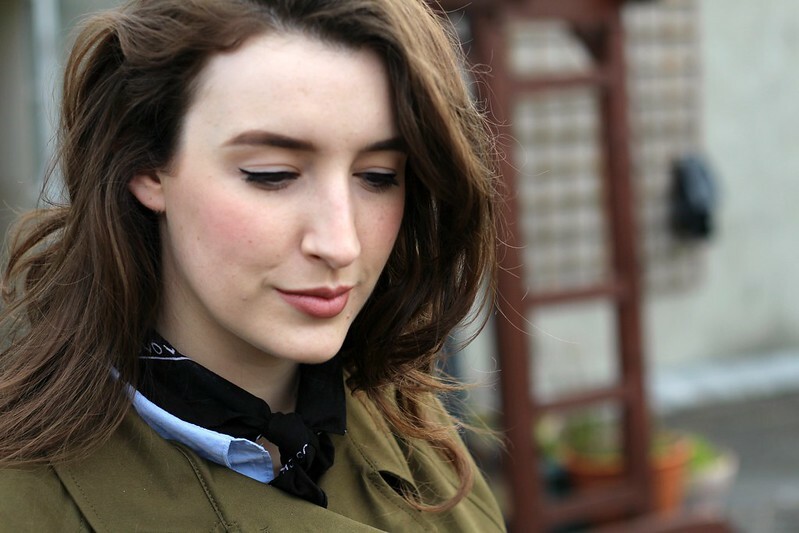 The 'Frances' is based on a design that's been in the M&S archive since the 1950s. 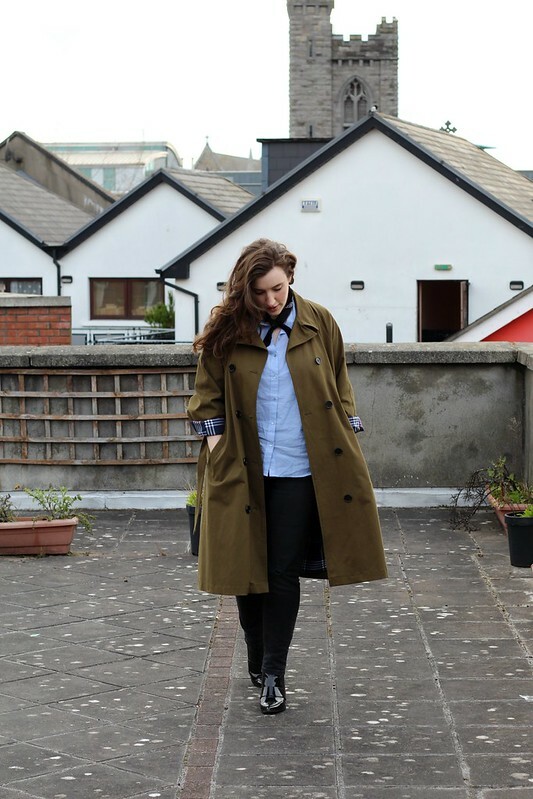 I love the khaki colour and the checked lining is a nice little touch that sets it apart from your average high street trench. There are some gorgeous pieces in the collection, the red printed Misty Dress and double breasted Ada Blazer are two of my other favourites. Sadly after the coat I couldn't afford anything else but I'm very happy with my sole purchase. 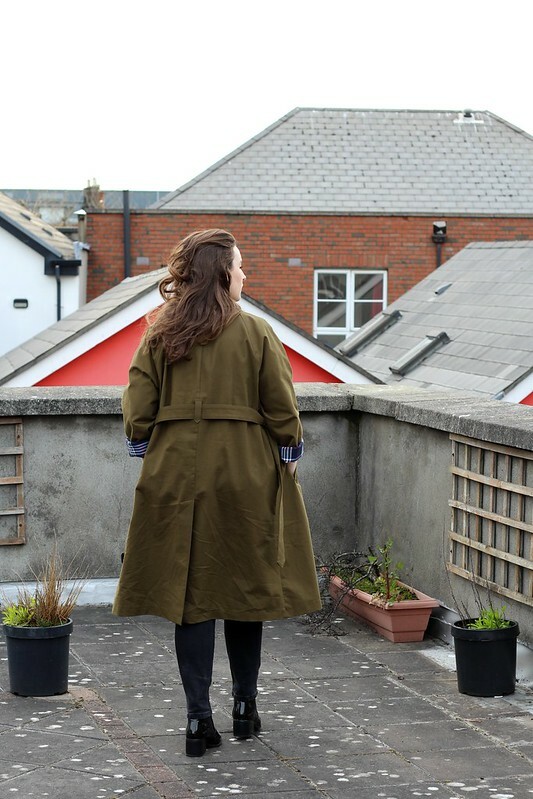 I kept the rest of my outfit fairly simple as I wanted to showcase the coat more than anything. 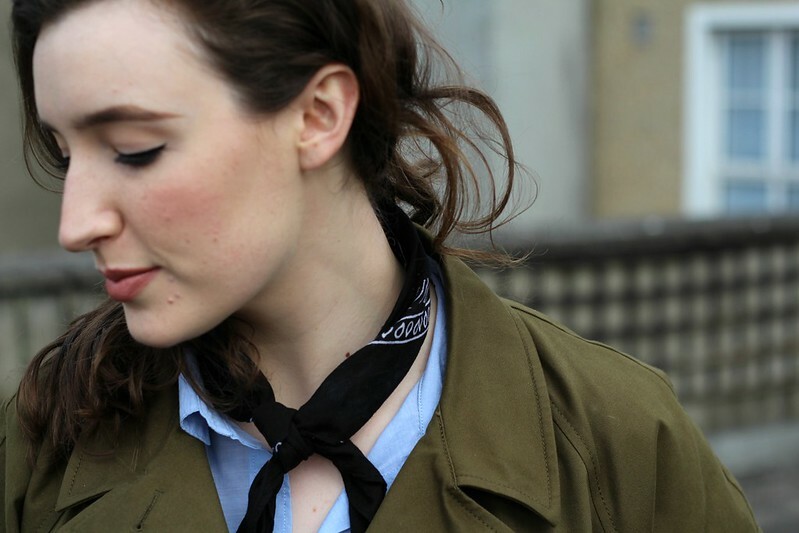 I was big into bandanas as a teenager and I've been really enjoying seeing how everyone is styling them recently. 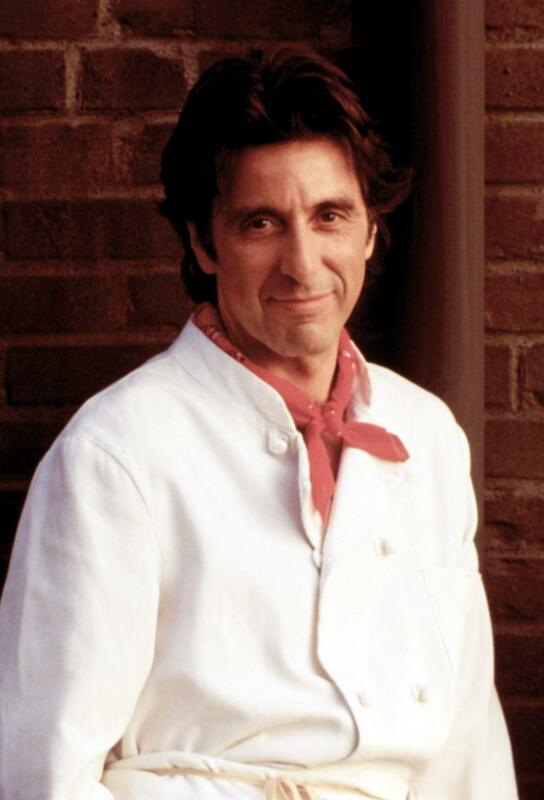 Coincidentally I watched Frankie and Johnny the other day and Al Pacino spends most of the film in his cook's uniform with a bandana around his neck or on his head and it made me want to buy a few more colours to wear during the summer. 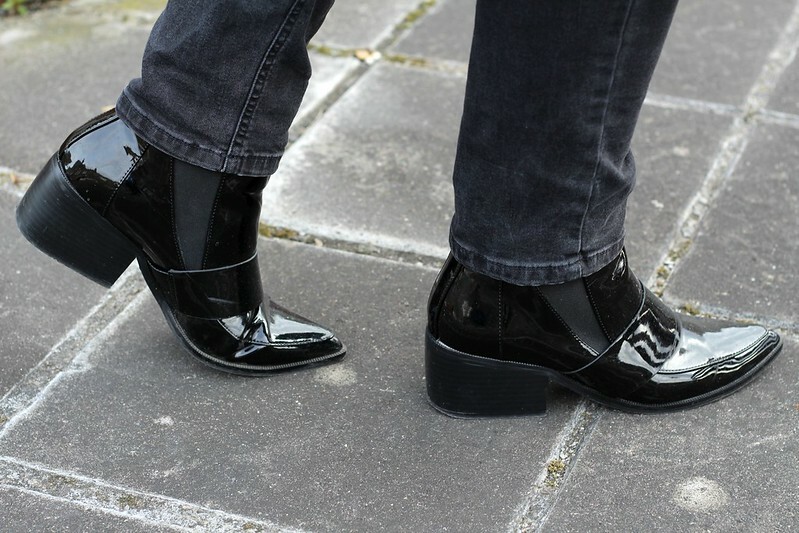 I got these boots from ASOS a few months ago after a long search for some black patent ankle boots. I love that these have a small block heel and a pointed toe, it makes them perfect for wearing to events where I want to feel comfortable but still a little bit dressed up. They're also great for wearing in the rain! What do you think of the Alexa Chung and M&S collaboration? Is there anything you'd love to get your hands on? 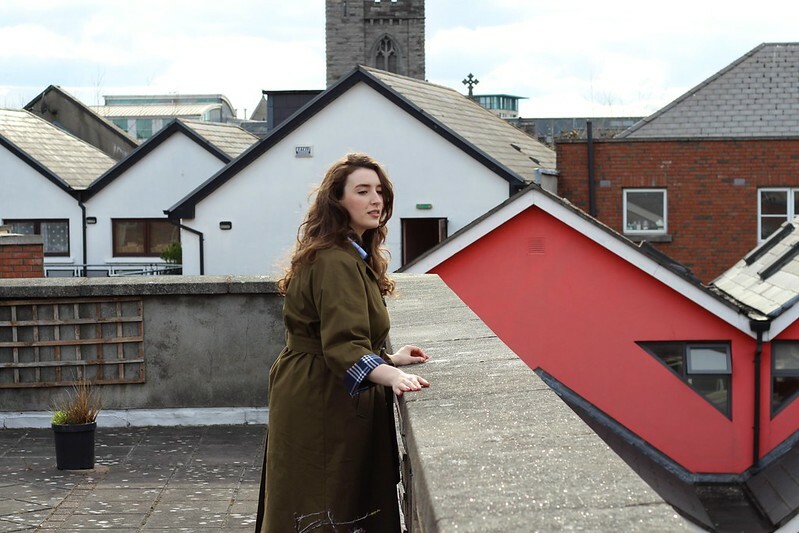 The trench coat is sold out online but there is still some left in stores.